If you are running hotel business then its good to have your own website for your hotel. It will increase your revenue and if you have your website and searching for best hotel booking website template the you are at the right place here you find the best hotel booking templates for your website. Designed by Klayemore (http://themeforest.net/user/Klayemore). 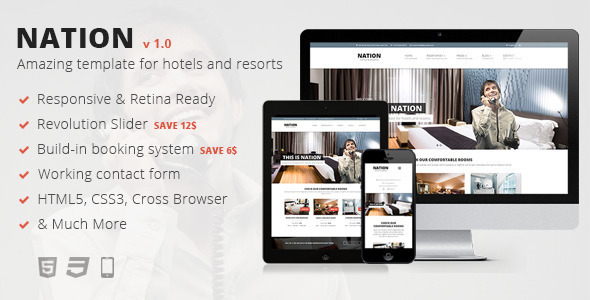 It is a fully responsive HTML 5 template for hotels, resorts and other accommodation providers. It includes a range of purpose-built pages, along with a single page layout for individual apartments and holiday homes. 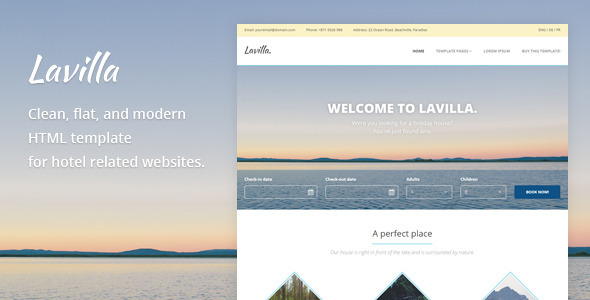 Designed by RavisTheme (http://themeforest.net/user/RavisTheme). 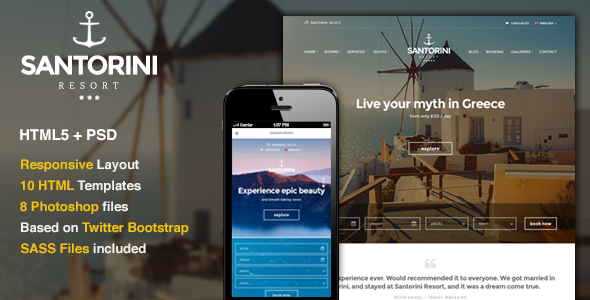 It is a responsive and fully customizable template for hotels and resorts. It has a flat design and it supports parallax sections in its design. Designed by cssigniter (http://themeforest.net/user/cssigniter). 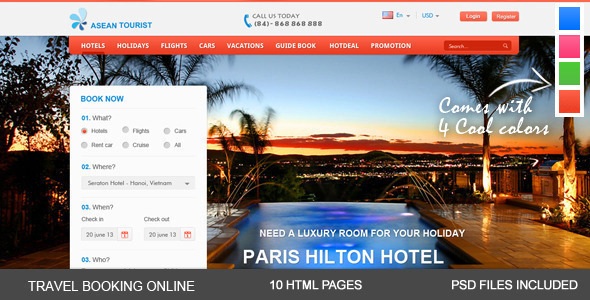 It is a perfect template for hotel, motel, resort or travel websites. And you can use it for any kind of website as well. Designed by templatation (http://themeforest.net/user/Templatation). 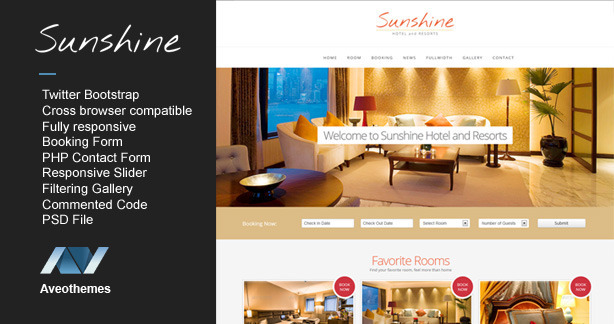 It is a responsive, clear and easy to use template for booking hotels. 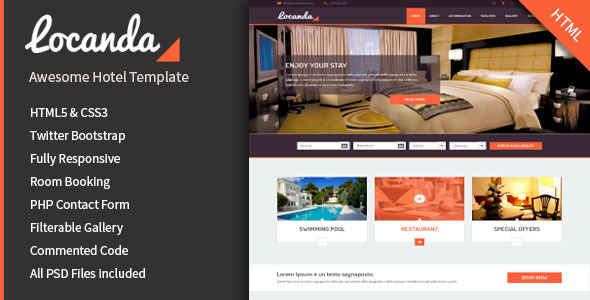 This template is designed for hotels, restaurants, travel, holiday, cillas and motels etc. Designed by megadrupal (http://themeforest.net/user/megadrupal). 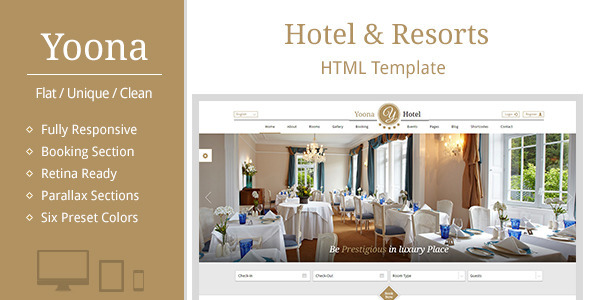 It is asleek and clean HTML hotel booking template for your hotel business. It has responsive layout which scales down to every downsized browser including tablets and mobile phnes. Designed by joomlashine (http://themeforest.net/user/joomlashine). It will take a significant part in replenishing your joomla template collection because it has an exclusive style for jomres. Jomres is a powerful booking component. Designed by raybreaker (http://themeforest.net/user/raybreaker). 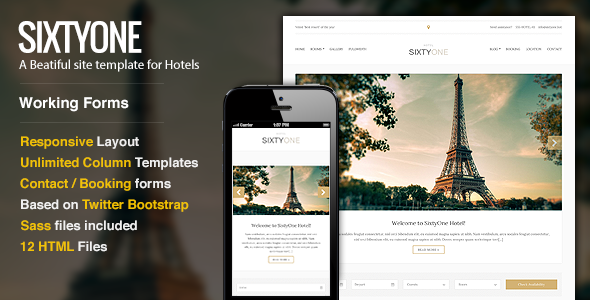 It is a responsive template created by using latest HTML5 and CSS3 techniques and specially designed for hotels, Motels, B&B, Guest House etc. Designed by cssigniter (http://themeforest.net/user/cssigniter). 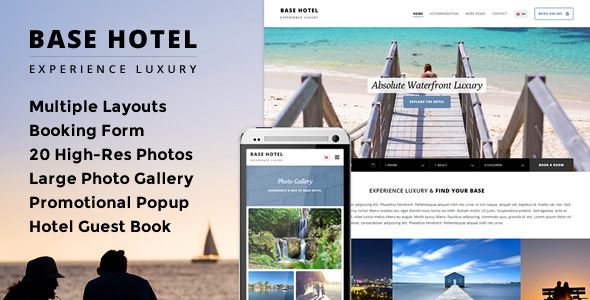 It is the perfect template for hotel, motel, resort or travel website and one more thing this template can be used for any kind of website as well. Designed by WabDesigner (http://themeforest.net/user/WabDesigner). 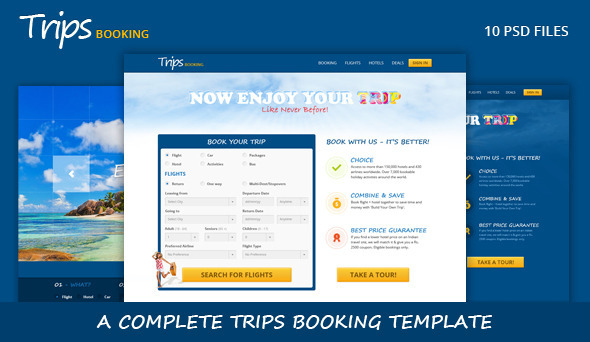 This template can be use for any trips, hotels, flights and travels booking website, this is the best template for those who need to do their business online via website. Designed by aveothemes (http://themeforest.net/user/aveothemes). It is a responsive and minimal website template for hotel build with latest bootstrap framework. With ultra responsive design it�s compatible with almost all device from desktop to mobile. Designed by AurelienD (http://themeforest.net/user/AurelienD). It is a HTML template best suited to create a holiday home rental website or a hotel website but since it�s really versatile it can be used for any kind of business. Designed by dram23 (http://themeforest.net/user/dram23). 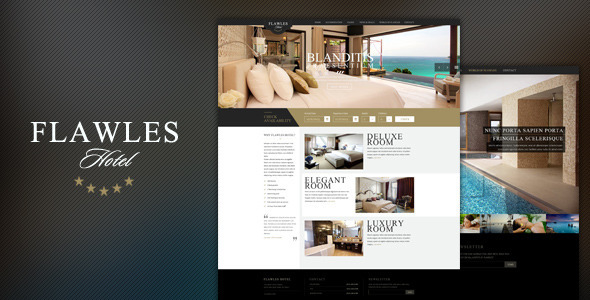 It is a responsive website template for hotel build with bootstrap framework 3. It has a clean design its compatible with almost all major web browsers.